Below is a synopsis of each of these ingredients individually to give more of an idea of the synergy of this product. 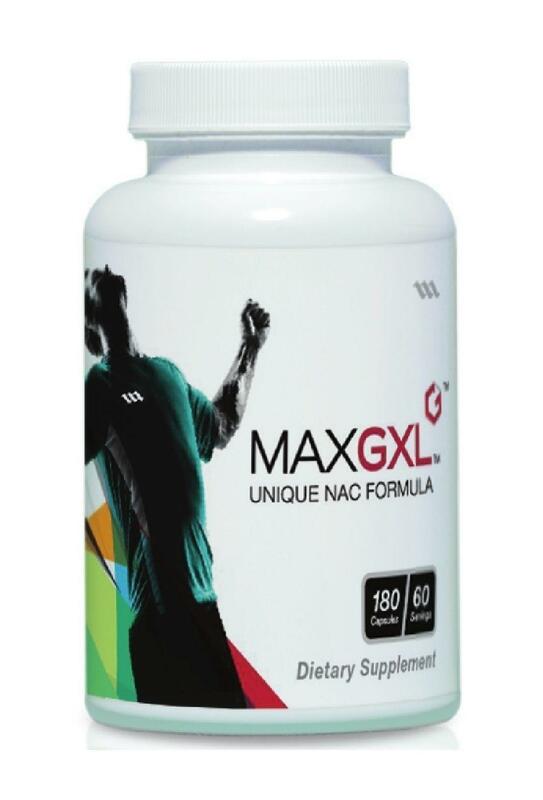 MAXGXL uses the highest grade (GST grade), of each ingredient in a synthesized and patented formula that together works wonders on the human body by promoting and enhancing the body's production & use of it's most important antioxidant, Glutathione. Calcium Ascorbate is 80% Vitamin C and 20% calcium. Ascorbates are less acidic than other types of vitamin C and provide better absorption than ascorbic acid alone. It protects the body from toxins and acts as an immune builder and as an antioxidant. It is essential for growth and repair of tissues. It helps your body to cope with physical and mental stress. Calcium Ascorbate produces the frequency necessary to activate protease so is a key component to proper protein digestion as well. 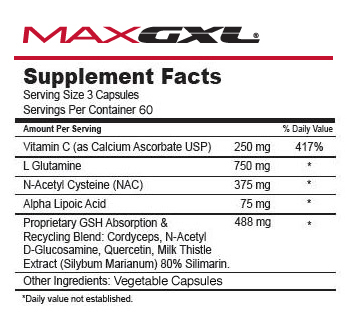 Also maximizes NAC absorption and helps protect existing glutathione stores. The most abundant of all of the amino acids found in the muscles of the body. It has the ability to penetrate the so-called blood-brain barrier and is readily transformed into Glutamic Acid, which is essential for cerebral function. In other words, this amino acid is used as brain fuel. L-glutamin e is an essential dietary component which nourishes cells in the gastro-intestinal lining, liver and immune system. It also preserves liver glutathione after hepatic injury. N-acetyl cysteine (NAC) is the best dietary source of glutathione. It is a main precursor for the manufacture of glutathione (GSH). Alpha lipoic acid increases the body's ability to use cysteine to manufacture glutathione. It also enables the key enzyme required for glutathione synthesis to work at optimal conditions, and induces an increase in intracellular GSH. Cordyceps functions as an antioxidant and anti-inflammatory agent. It has also been shown to increase liver energy and glutathione synthesis. In MaxGXL, however, its primary function is to reduce inflammation and free radicals by decreasing the thermostat for inflammation called nuclear factor kappa beta. N-acetyl-d-glucosamine (NAG) is a key precursor in the biosynthesis of mucosal glycoproteins. It protects the underlying tissues from enzymes, acids and bacteria while providing a surface to absorb nutrients. Quercitin plays a critical role in regenerating glutathione and helps to eliminate toxic compounds found in the liver. Contains some of the most potent liver protecting substances known. One of the active phytochemicals called Sylimarin prevents free radical damage in the liver and kidneys. It also stimulates new liver cells and is an excellent immune system builder. Simply put, glutathione (GSH) is the body's master antioxidant .